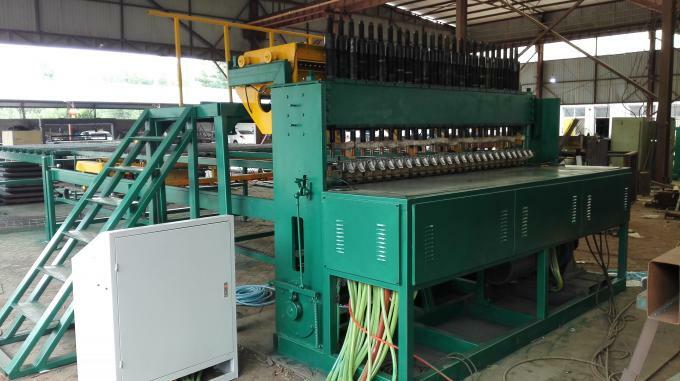 1.welding reinforcing wire mesh machine will be packed with plastic film. 2.The accessories will be packed with wooden box. 3.All the machines suitable 40 feet container to be loading. 30 days after receiving deposit or L/C. 1.The control system adopts synchronous CNC technology, Mitsubishi PLC program and HMI. It is easy and convenient to operate with the touching screen. 2. The fallen wire system sends weft wires one by one automatically instead of putting wefts wires by manual work, increasing productivity. 3. The sending mesh system controlled by computer can make—Adjustable distance of line wire that allows different opening size between the line wire, when input the distance of cross wire to computer, any character can be reach. Welding aperture can adjust randomly within range. 4. 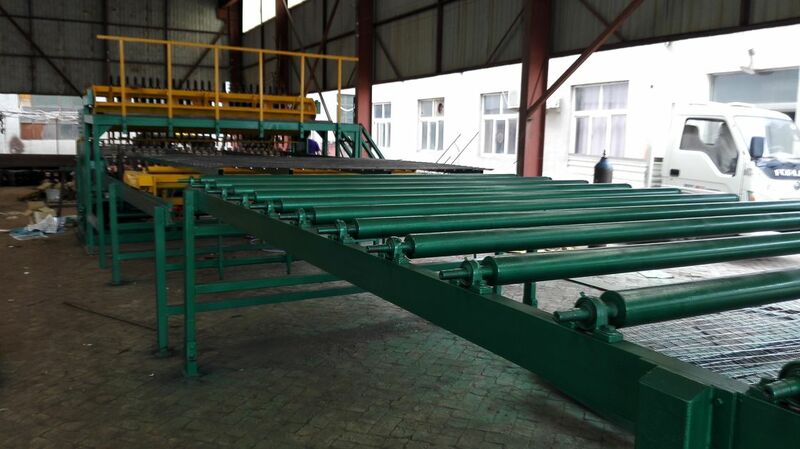 The main engine adopts imported and famous pneumatic components, making the service life long. 5. The welding wire is accurate and the welding points are firm for the big pressure. 6. This machine equips typical and efficient transformer, which gearless adjusted, enlarging the welding range. 7. Mesh drawing system is controlled by servo-motor that adopts elastic tension and opening positioning mesh, which improves the precision of mesh opening size. 8, Transformer:125KVA*12(24welding heads) ——every two welding heads need a water cooling transformer. 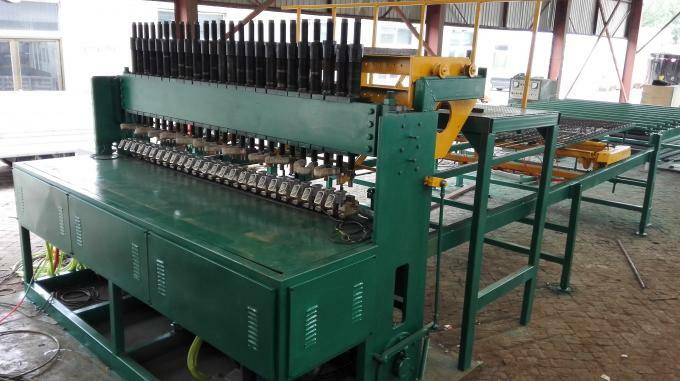 9, Wire feeding way:The line wires and cross wires should be pre-straightened and pre-cut, then be put by manual work. 10, Mesh pulling method:controlled by servo-motor. 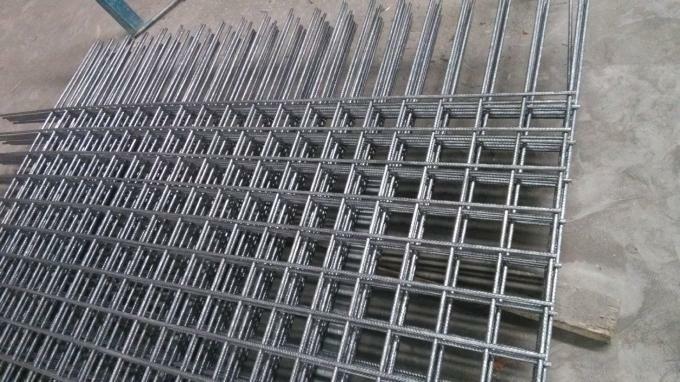 11, Material:Suitable for low carbon iron wire, deformed bar, round bar black annealed wire or galvanized (cold galvanized, hot galvanized) processing. 12, Product pulling system the mesh is pulled by gearing system below the mesh. 1. Guarantee time: one year since machine was at buyer's factory but within 18 months against B/L date. 2. Within guarantee time, if any components are broken under normal condition, we can change for free. 3. We can send our best technician to buyer’s factory for installation, debugging and training. 4. Complete installation instructions, circuit diagram, manual operations and machine layout. 5. Timely reply for your machine questions. 6. Main machine packed by stretch film, PLC cabinet packed by air bubble film, spare parts loaded in to box. 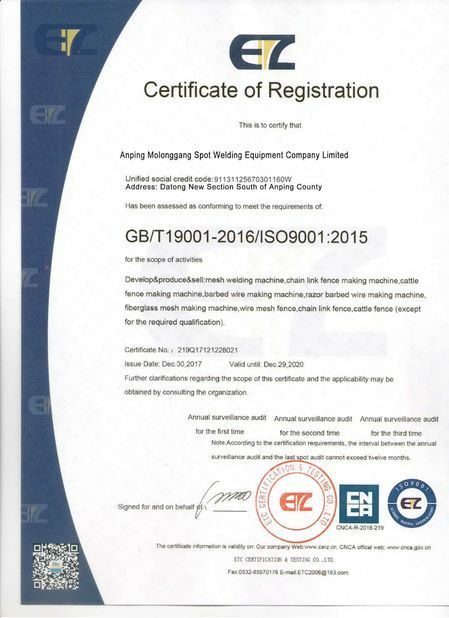 ♦Anping Molonggang Spot Welding Equipment Co., Ltd. is a professional manufacturer and exporter integrating the design, development and production of wire meshmachines for Breed aquatics mesh welding machine, CNC fence mesh welding machine, Reinforcing mesh welding machine, brick force mesh machine, welded wire mesh machine,building mesh machine,mine supporting mesh welding machine and automatic chain link fence machine, hexagonal wire mesh machine, expanded metal machine, roll forming machine, Automatic Concrete Reinforced Mesh Welding Machine/Welded Steel Bar Mesh Machine and so on. 1. Wire diameter : From mm to mm. 2. Line wire space : From mm to mm. Cross wire space : From mm to mm. 5. 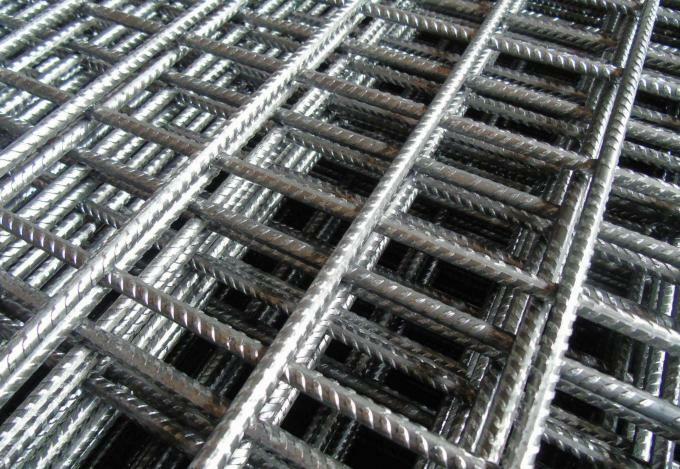 Do you want to weld wire mesh panel or mesh in coil ? 6. Is the auxiliary equipment following also require ? 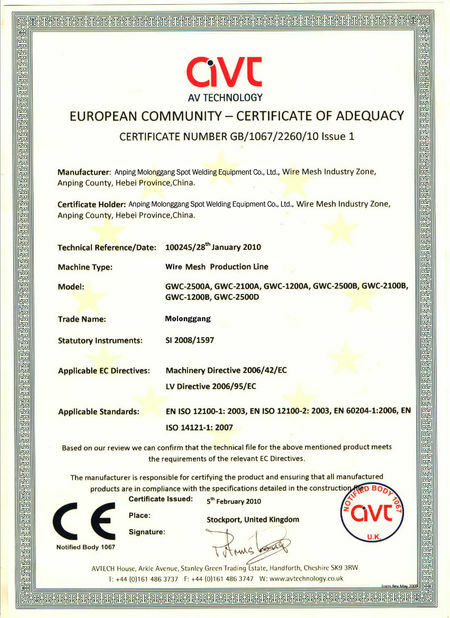 China Good Quality Wire Mesh Welding Machine Supplier. Copyright © 2017 - 2019 mesh-weldingmachine.com. All Rights Reserved.